The CHAR Function in Excel returns a character when given a valid Character Code. CHAR Function is used to specify the characters that are difficult to enter in a formula in Excel. Now, let us study in detail the CHAR Function as given below. What is a CHAR Function in Excel? What is the formula for CHAR Function? How to use CHAR Function? What are the applications of CHAR Function? 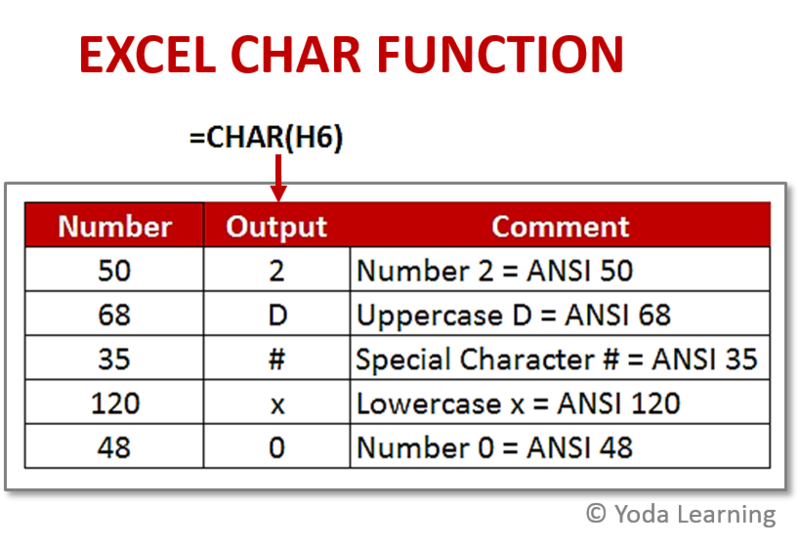 ➡ What is Char Function in Excel? ➡ What is the Syntax for Char Function? ➡ How to use the Char Function? ➡ What are the Applications of Char Function? The CHAR is a built-in function and a sub-category of the String/Text Function in Excel. Also used as a worksheet function in Excel. 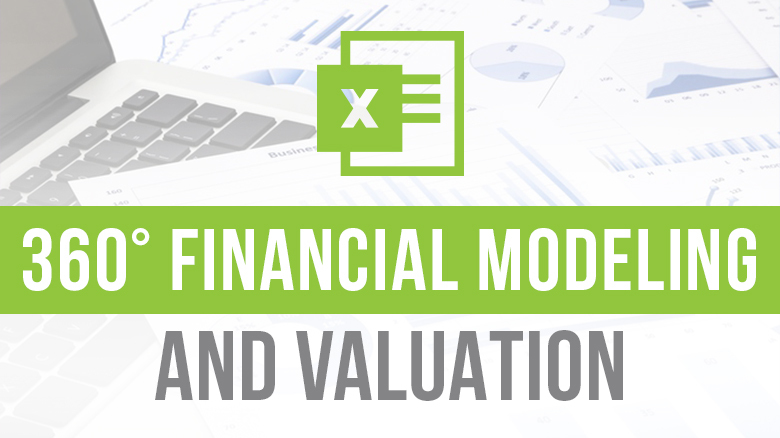 The CHAR Function is used as part of a formula in a cell of an Excel worksheet. CHAR Function translates code page numbers into actual characters. It is useful when you want to specify characters in formulas or functions that are difficult and certainly impossible to type directly. The return value of CHAR Function is a single character specified by a number. Let’s have a look at the below example for CHAR Function and explore how to use this function as a worksheet function in Microsoft Excel. We have a data table as shown in the below picture that holds certain numbers. Using the CHAR Function, we have to find out that these numbers are used as character codes for which of the characters. Here, the first number is 50 and the output is 2 which means that number 50 is the character code for character 2. Similarly, we also have number 68 whose output is D. This means that number 68 is the character code for the Uppercase letter D.
In this way, we can find out the characters using the numbers between 1 to 255. You can use the CHAR Function along with the concatenation operator (&) to add a line break. To get the last word from a text string, you can use CHAR Function along with TRIM, SUBSTITUTE, RIGHT, and REPT Functions. To eliminate unwanted characters in Excel, you can use a formula using CHAR Function based on the Substitute Function. Creating a simple in-cell histogram, use a formula based on the REPT function and CHAR Function. While counting total lines in a cell, you can use a formula having LEN, SUBSTITUTE and CHAR Functions. This function is a very useful function in Excel. It returns a character specified by a number. You can also combine this function with other functions as well. Hence it is proved that you can use the Char function along with the other function.